Ryan practices throughout Mississippi with a primary focus in the areas of insurance defense, workers’ compensation, products liability, and subrogation. He serves on the workers’ compensation team in Galloway’s Gulfport office. Ryan has a wide range of experience in state, federal, and administrative litigation. He believes that effective client communication and attention to detail are essential in obtaining favorable results for his clients, whether through early resolution or trial. Following his admission to practice law, Ryan served as Deputy City Attorney for the City of Jackson, Mississippi. While serving as Deputy City Attorney, his practice focused on state and federal defense of the Mayor of Jackson, Jackson Police Department, Jackson Fire Department, and Jackson City Council. Ryan also provided training to new recruits and veteran police officers of the Jackson Police Department. 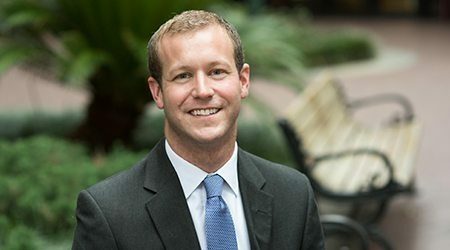 After leaving the City Attorney’s Office, Ryan pursued his private practice with a focus on general insurance defense, workers’ compensation, and subrogation. Ryan co-authored an article entitled “The First Amendment & Governmental Entities,” which was published by The Mississippi Lawyer in the Fall of 2011. He has also served as a judge for high school and college trial competitions, as well as law school moot court competitions, throughout Mississippi. Ryan routinely presents continuing education programs to claim professionals and national insurers. Mississippi College School of Law, J.D.